What Can I Buy to help you out? SUN 'n FUN Radio 25th Anniversary Spinner Prop SHIP IT TO ME!!! These are some of the best promotional items I've ever seen! Whether you are a first time visitor or long time SUN ‘n FUN guest, there is never enough time to take in all the activities at the fly-in. And, did you ever try to read a program book and walk? We have the solution—SUN ‘n FUN Radio! 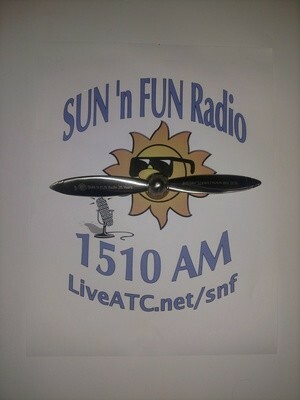 SUN ‘n FUN Radio Broadcasts locally on 1510 AM & audio streams worldwide on www.LiveATC.net/snf. Tune in… We will keep you updated on scheduled events as well as special activities, and guests for the day.Tune in to hear our RadioActive volunteer announcers & reporters bring you interviews with a variety of interesting pilots, builders, aviation enthusiasts, and SUN ‘n FUN exhibitors, sponsors & advertisers, as well as weather updates and major news stories. 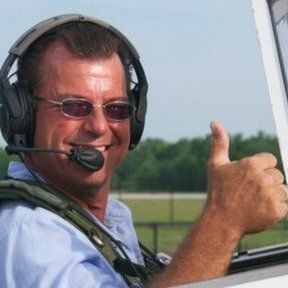 We also broadcast the daily airshow commentary & select evening programs.